After a series of speculations, Micromax-backed YU has announced that four of its devices are slated to receive Marshmallow OTA update in the next 30 days. These smartphones are YU Yunique, Yuphoria, Yureka, and Yureka Plus. For now, the company is internally testing the beta build of the update. The beta update is up for manual download for normal users as well. 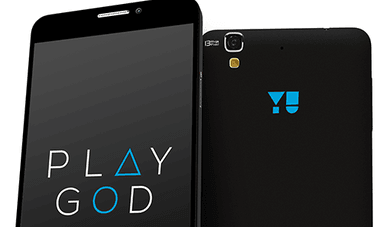 The YU Yuphoria and Yureka owners can download the beta build from Yu’s official portal. While the Yu Yunique and Yutopia users shall wait a little longer for the beta update download. Yu’s ‘Project Highway’ is based upon curating source codes from multiple platforms, such as Google’s AOSP repos, Chipset Vendors Repos, Various ROM (contribution forum for community developers) along with its internal YU customization to produce a final build. These builds will be equipped with support for all the YU based devices inclusive of other Android devices as well. Yunique user I am.. I got ota update in Jan/Feb!